Getting your hands on a bonafide IMSA-spec 962 will cost a pretty penny, but for those of us not able to come up with the cash required, there's something which might evoke some of the same emotion the iconic sportscar could for a relative bargain. Well, perhaps that's an overstatement. However, this kart , which mimics one of the more recognizable 962s, could be a worthwhile investment as a collectible, and might be the most stylish means of transport up and down pit road. It certainly has more panache than a scooter, and much more respect for motorsport history. 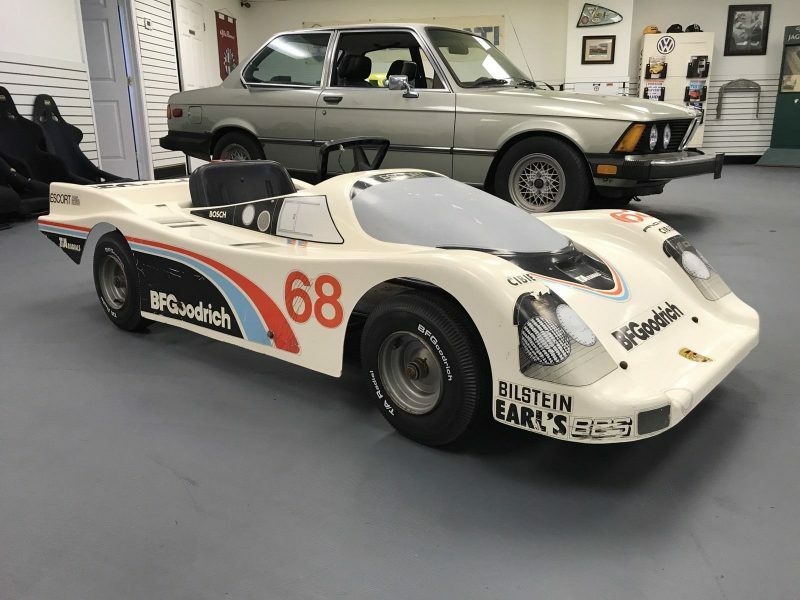 Though there have been so many famous 962s, the BF Goodrich cars, as driven by Jim Busby and copied in this kart for sale on eBay , have become synonymous with mid-eighties sportscar racing in the States. In fact, Busby himself became an American racing fixture in his own right thanks to a colorful racing resume in a variety of categories. Busby broke his back in a Formula 5000 accident, won the IMSA GT championship in 1976, and raced 935s at Le Mans before moving into IMSA GTP/Lights in the mid-eighties. With BF Goodrich signing the checks, Busby picked up a pair of 962s for the 1985 season, in which his best finish would be a second at Riverside. The following year, Busby took his 962 to Daytona and Sebring and finished third and second, respectively, before he hung up his helmet and moved onto team management. This was my Go Kart it was just sold to a collector in the midwest. I’m going to miss it but its off to a good home.